Christian bookstores are filled with books on building better marriages, raising godly children, and running well-ordered families. Some are self-help volumes of checklists and tips hardly distinguishable from secular pop-psychology. Others base their advice on the Scriptures but focus almost exclusively on passages that impart menacing commandments or admonishing proverbs. Such books seem to offer biblical, practical advice, and yet most do not last long before being replaced by some better self-improvement system or new crop of Bible passages to direct your family life to bliss, piety, and neatly-organized sock drawers. 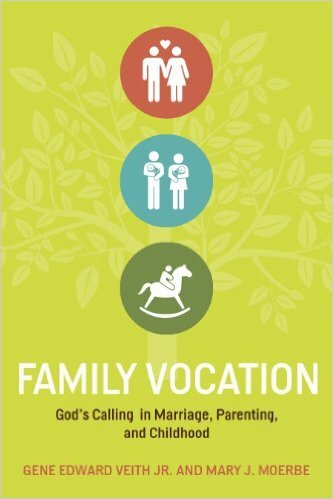 Family Vocation: God’s Calling in Marriage, Parenting, and Childhood by Lutheran father-daughter team Gene Veith and Mary Moerbe is a far different—and far better—kind of Christian book on family relationships. As it engages the three main family relationships of marriage, parenting, and childhood, Family Vocation always begins from sound theology and moves outward to apply the general scriptural truths to the thorny practicalities of life within human families. Counter-intuitive though it seems, this approach actually proves far more practical than starting with specific concerns and then trying to paste on theological truths. The authors rightly believe that all Christians benefit from understanding what God says about husband and wife, father and mother, son and daughter. Because this is not a self-help book for some specific demographic, it is able to encompass all the variations of family relationships, both healthy and broken, and to speak to them with broadly applicable truth rather than presenting a specific to-do list that works for some and leaves others out in the cold. 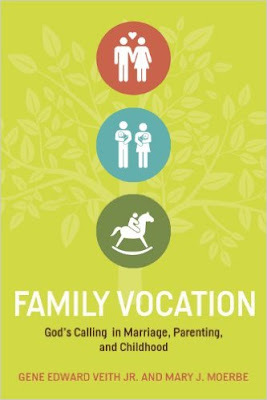 The key to this all-encompassing view of Christian family life is the concept of vocation, which Veith and Moerbe explain well in their opening chapters and apply consistently throughout the book. As they illustrate time and again, understanding all familial roles as God’s “callings” means that we look for the ways in which those roles allow us to show love and service to our neighbor, which most certainly includes husband, wife, parents, and children. Thus, this book is not just for those who are married (though it may be most useful to them), but for all Christians, because every human being by virtue of being born a son or daughter has practical, God-given ways in which he or she is called to love and serve others. Yet one of the great beauties of this book is how well it goes beyond the earthy practicalities to unfold the deeply meaningful truth that the love we show in our vocations is a participation in God’s love. For instance, instead of assuming that we understand God as our Father because we know about human fathers, the authors clearly point out that “actually the associations are reversed: God is the literal father. Earthly fathers have certain remote similarities to him.” Likewise, they remind the reader that Saint Paul does not picture the Church as the bride of Christ because this reflects human marriage, but rather that we understand the vocations of husband and wife because Christ and the Church are their great archetypes. So, too, the Son is the source of all childhood, and the Church, pictured in both Eve and Mary, is the fount of motherhood. 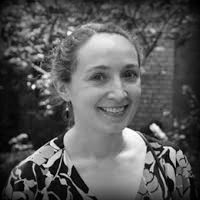 But for all the transcendent, beautiful theology that Family Vocation presents, it in no way ignores or sugarcoats the many painful dysfunctions of families in our sin-warped world. Veith and Moerbe deal with “big issues” including divorce, abortion, adultery, homosexuality, cohabitation, abusive relationships, birth control, infertility, single-parent households, prodigal children, and more in ways that are neither legalistic nor licentious. Furthermore, they openly engage in discussions of good, God-given, and yet today largely taboo topics such as marital sexual relations, wives’ submission to their husbands, husbands’ authority as head of the family, and the discipline of children. 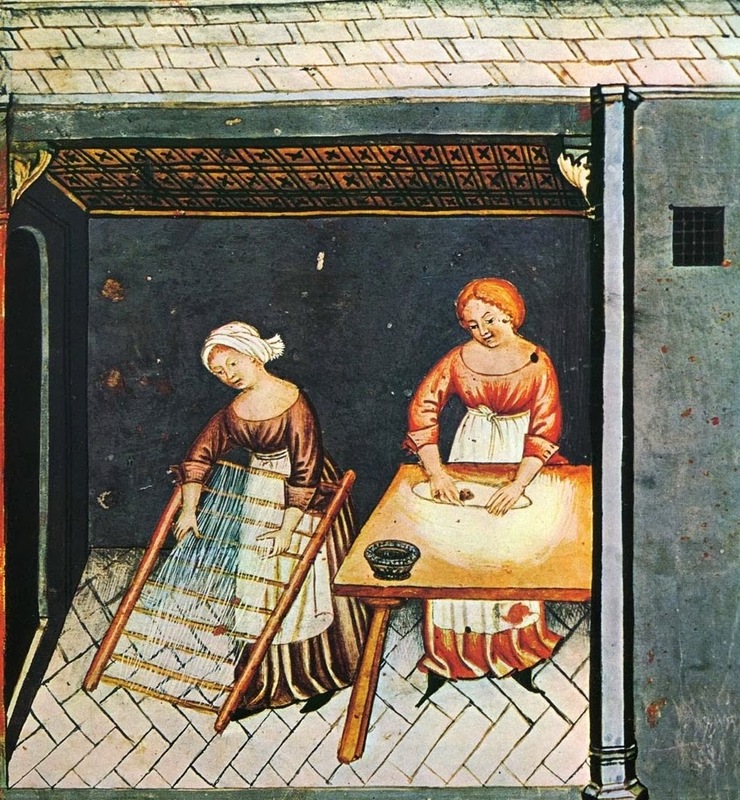 In all these matters it is entirely evident, as the authors themselves comment, that “thinking about the issue in terms of vocation—rather than seeking blanket prohibitions or permissions—gives us a different way of approaching the questions.” In every situation vocation brings before our minds the question of what will best love and serve our neighbor. While the book offers occasional examples of how this might play out in various circumstances, it steadfastly refrains from judging in matters where Scripture has not given explicit guidance. If all this sounds frustratingly noncommittal in terms of solving the practical problems of Christian family life, it is because this is not a book that aims to solve problems. Instead, its goal is to help Christian men and women find the joy in their God-reflecting vocations and to bear with patience and wisdom the suffering that is guaranteed to come alongside those joys. Or as the authors beautifully and succinctly state: “A problem is something to solve; a cross is something to bear.” Thus, perhaps the greatest insight that Family Vocation provides is that vocations always come with crosses. Such a realistic and robust view of Christian family is the only way to avoid the twin pitfalls of despair and pride that threaten us if we succumb to the self-help checklist mentality of family life. It is also what makes this book a valuable volume that will remain relevant for many years to come. So, save yourself a lot of space on your bookshelves. Get rid of the Christian self-help books and replace them with this thoughtful and helpful commentary on family vocations. "A cross is something to bear." That is a crucial point, and one that reflects an Eastern Orthodox view of our relationships as well. I have found it so refreshing, after many years soaking up the "pop psychological" advice about how to have a happy marriage, etc. What I needed was a good dose of reality: All of us, whether married or single, parents or not, are called to be martyrs, to give our lives in love. Thank you for a good review of what sounds like a very helpful book. Looks very good, I will put this on my TBR pile. Right now I am reading The Problem Solver by Tom Gehring which is getting me back to right which is what I need every so often.